I constructed this info sheet a few weeks back. I posted it on the Facebook page a while back and I figured it would be good that people can have access to view on the website. It contains some handy, helpful tips that people can apply in their daily lives. These actionable tasks can help anyone to navigate the nutrition world and make real, simple changes in their lives. Print this out and put it on your fridge! I just wanted to post on the website the video that we made in school during June. We had been learning about the importance of healthy eating, about going to bed on time and about how exercise can keep up fit. Learning about these topics are great but we wanted to do something more constructive and maybe help other children learn and understand our message. We came up with the idea of the Super Duper Kidz Project. Obesity is a massive problem in Ireland today. 60% of Irish adults are either overweight or obese. This is a massive issue and we must start making changes now to help turn the tide on this problem. With this in mind, we decided to create a blueprint that all parents and children could follow. We decided to make simple changes and have challenges that the children could follow. They gave up fizzy drinks, they exercised for an hour a day and ate more fruit. We encourage all parents and children to have a look at the video. Even if you only make one or two simple changes to your diet, sleep, exercise or mindset, you are succeeding. One of the best things one can do to improve their body composition is to do some resistance training. So if you are new to this game of fitness, you might not be totally familiar with what resistance training is. Resistance training is a form of physical activity that is designed to improve muscular fitness by exercising a muscle or a muscle group against external resistance. This could take the shape of body weight exercises, lifting weights, pulling and pushing bands and cables etc. This type of activity has tonnes of benefits and I mean loads! It will make you look better. Who doesn’t want a strong toned lean physique? Resistance training is the numero uno go-to training modality for any body looking to shed pounds, lean up and just change the shape of their body. If you have just 3 hours per week and want to maximize your training to help change your shape, you need to be working those muscles. Strong people are harder to kill than weak people. Regular resistance training can decrease the risk of heart disease by lowering body fat, decreasing blood pressure, improving cholesterol, and lowering the stress placed on the heart while lifting a particular load. Improving muscular fitness is very important for enhancing the quality of life. Also if you stumble on the side of a cliff and are hanging off the edge, that weak lad is heading for the sharks but the strong lad has a chance of salvation! Anyway you get the idea, resistance training is good stuff for both men and women. So where does one start in making progress into the deep enchanted woods of resistance training. You don’t need any equipment, just your own body and an open space. Here is a basic guide for anyone who wants to get started with resistance training but doesn’t know where to start. Warm Up: Gentle pulse raiser to increase blood flow and increase heart rate, mobility type exercises to open up the joints and push them through a wide range of motion. Perform as a circuit and work on each exercise for 30 seconds. (20 seconds to make it easier and 40 seconds to make it harder). Do 3 to 5 repetitions of the circuit depending on your fitness level. It is important to cool down after exercise and stretch properly. Shake out the arms and legs, move around and gradually let the heart rate fall down. Stretch the main muscles in the leg, the hamstrings, the calf and the quadriceps. There you have it. 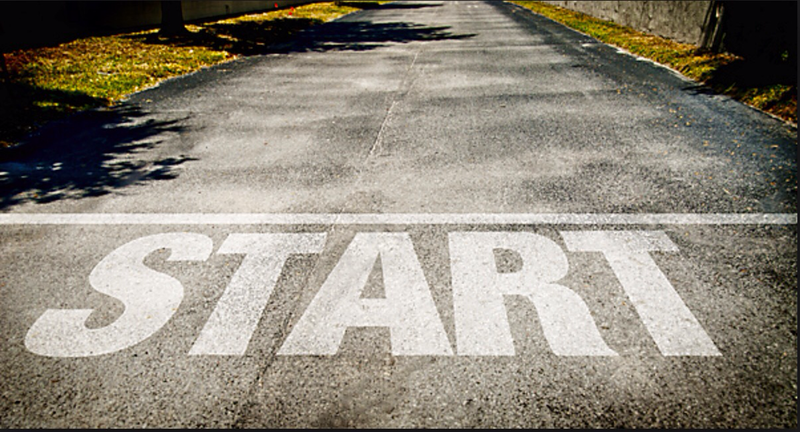 Get started and no excuses! The weekend was busy and you didn’t get a chance to do a proper shop. You get up and look into the press to see what the available options are. Unfortunately they are quite limited. In your mind, you were going to make an omelette but one solitary egg would make a measly omelette. Ah well, you don’t worry, that box of Special K will do the job. A large bowl with a drop of milk and a slice of toast has filled the gap and you are out the door to work. In work, you are having a break at 11.00. Jim your workmate is 30 so the boss has ordered in a nice tasty sponge cake. Everyone is having a bit of cake so you dig in, yummy! At lunch time, you pop out to the nearest shop to grab something. The nearest shop isn’t the best but will do the job in this situation. You scan the available options and decide to just get a sandwich and a cereal bar. The shop has limited options, but you console yourself with the notion that you did try to be healthy by getting the cereal bar instead of the chocolate option. You come home from a tough day at work and are starving, on the table is a box of biscuits. You are so hungry so you start nibbling on a few. You start throwing shape on dinner and before you know it, you’ve eaten three or four biscuits. After a little while you serve up dinner with your regular large plates. To fill the plate you need a relatively large portion and as you’ve put a good effort into making this meal, you leave none to waste. You are peckish after dinner and as you scan around the kitchen, you are presented with two options looking back at you. The biscuits (‘oh no I’ve had enough of them’ you think) and the box of cereal. You go for the cereal as you think that is the ‘healthy’ option. You can have all the nutrition knowledge you like but if your environment is working against you, you are setting yourself up for failure. There are many ways this person could have improved their food environment. Ensure they do a shop with a variety of healthy food. 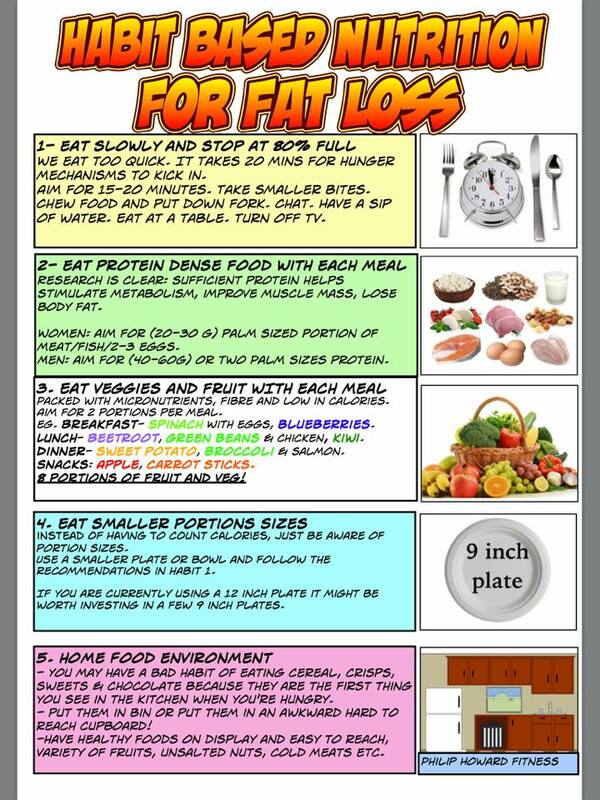 Be aware of portion sizes and use smaller plates and bowls when trying to eat less. Have a bowl of fruit with two or more fruits instead of a bowl with crisps or biscuits. Have healthy snacks available instead of toast and cereal- nuts, yogurt, fruit, unprocessed cheese, carrot stick are good options. Have lunch prepared for work and don’t run the risk of going to a shop with limited healthy food availability. Remove unhealthy snacks from view in the kitchen and put them into a cupboard that is awkward to get to and is out of the way. Work environments can also massively influence eating habits. Is your work place making you fat or fit!? This blog was inspired by an excellent podcast by Danny Lennon with Brian Wansink. Well worth listening to for anyone interested in understanding how we can use our environment to help eat in a healthy manner. We make so many unconscious decisions about food but thankfully new can change our environment to work in our favour. So good, I listened to it twice, fairly sad I know! But I do a lot of driving so that my excuse. You want to get the exercise out of the way before you get home? You love to have the whole free evening where you can meet up with your friends without worrying about having to go to the gym? Fear not, Brunner Bootcamp is here to serve your needs! Afternoon classes have started in St. Paul’s CBS. Every Monday and Wednesday at 3.45. Come along, check us out. If you are a teacher, email philiphowardfitness@gmail.com with your name and school before Friday 15th May. One lucky person will be in with with a chance of winning a month of bootcamp. You’re sitting on the couch chilling out watching the television after a hectic few days. You’ve not had a great week with exercise and food. Work was very busy and you had to work a bit later than usual. When you got home it was a bit late, you felt quite tired and couldn’t face the effort of going to the gym. To make matters worse, you didn’t do a proper shop at the start of the week and ended up eating any sort of rubbish whilst on the run. You’re having a flick through the oul Fakebook. A quick scan through your feed tells you your mate John has 10 selfie photos up after completing the Boston marathon whilst wearing a clown costume, he looks wrecked but happy out, ‘fair play John’ you think. As you nibble on the last few crumbs of your biscuit, you feel decidedly inadequate. We need to stop feeling sorry for ourselves about what we can’t do but instead start focusing on what we can do. We are all at different stages in our nutrition and exercise journey. What may seem easy and achievable to one person may be totally impossible for another. We should not set our goals based on what others around us are doing but on where we are at currently. Constantly looking at what others are doing can lead to failure and disappointment. Instead of feeling down about our situation compared to others, we need to find something that we can do. Something that is achievable and will make us immediately feel better and set us back on the road. Prepare and eat a salad, full of fresh goodness, this will instantly invigorate you. 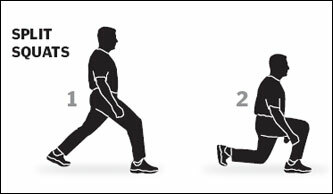 Do a home exercise routine (10 squats, 10 press ups, 10 lunges, 10 jumping jacks, 10 burpees, 10 high knees) Rest and repeat for 20 minutes. Just do it! Dust off the bike and head off on the bike exploring some unchartered territory. Get to bed early a few nights in a row, just switch off the phone, turn off the television and hit the hay. Aim for 8 hours. This week, instead of focusing on what you can’t do, concentrate on what you CAN do. When you do it, you will feel great and be ready to tackle the next little challenge that comes your way. Stop using other people as a bench mark and focus on being a bit better than you were yesterday! 6 week Body Transformation is back in January 2015 bigger and better than ever! Are you looking to become a better version of yourself? Have you let yourself go in the last while and are looking for a route back to better health, a stronger body and a more toned physique? Have you tried many diets that haven’t worked for you and need a road map which is tailored personally towards you? Do you want to shed some pounds and give yourself the present of happier, healthier life? The exercise and nutrition plan in the 6 week block might be just the thing to get you back on track again and move you up that health scale. The transformation is not based on any fad diet or food restriction but on sound principals which promote nourishment whilst also encouraging a holistic approach to the consumption of food in our daily lives. Too many people harbour a constant destructive attitude towards food, agonising over eating certain foods and using food as a reward. This creates a poor psychological relationship with food and can lead to calorie restriction and possibly subsequent binging. On the 6WT, healthy food choices are obviously encouraged but a healthy outlook to nutrition is also an extremely important consideration. Too many people are constantly on a ‘diet’ and are falling victim to the next diet marketing fad they are fed every day. If you’re getting your dietary advice from the magazine or from the bulletins on the radio it is possibly time to look for an alternative source. 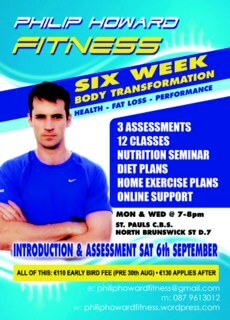 During the 6 weeks there will be two classes per week of exercise. Each Monday and Wednesday there will be a lot of high intensity intervals, resistance training and a mixture of mobility and dynamic work. Emphasis will be put on improving strength, building muscle through the practice of correct form and technique. People are also encouraged to do exercise outside the class or just to continue to be active. What can you expect after 6 weeks? It varies and it is somewhat dependant on how much effort you put in! You must commit to changing your habits. You must believe you will be healthy, fit and strong and you must enjoy the process. If you do this you will see results. I guarantee super energy, better immunity to sickness, a more positive outlook on life, less body fat and greater strength can be yours. People must remember though that 6 weeks is a pretty short time period. Many people have experienced super results in this period, losing a lot of body fat and changing their body shape but to realise true health, this should only be a start. Eating well, exercising and having a positive outlook should be something we strive to do for life. It should be consistent and attainable not something that’s done for just 6 weeks. The cost for the 6 weeks is 130 euro. 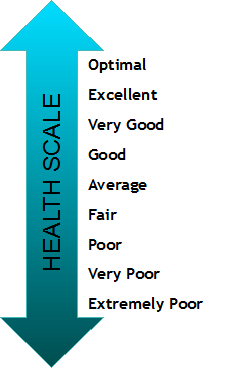 3 assessments: before and after photos, skin calliper testing, weight, hip and waist measurements. These tips are designed for anyone who wants feel comfortable lifting some weights in a safe and productive fashion. Lifting weights has many benefits for our health, fitness and body composition. Women should not fear doing weights. 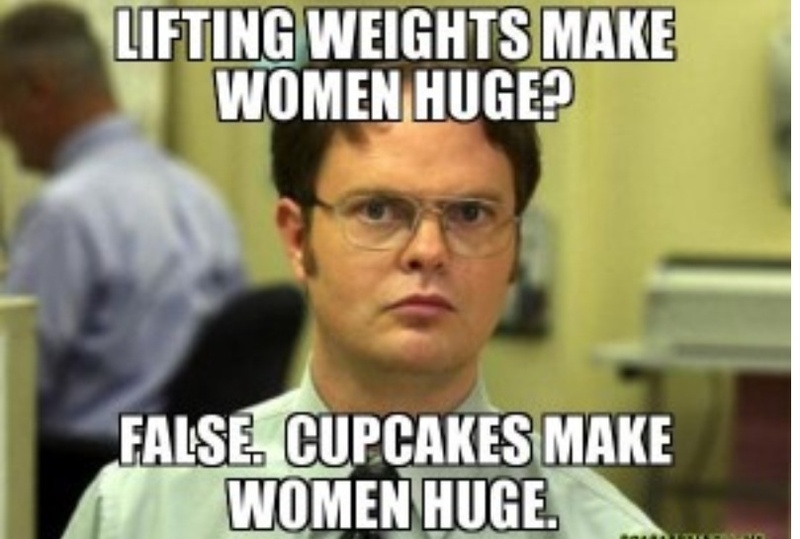 Many women think they will get big and bulky if they lift anything more than pink fluffy dumb bells. This is just a pure myth. 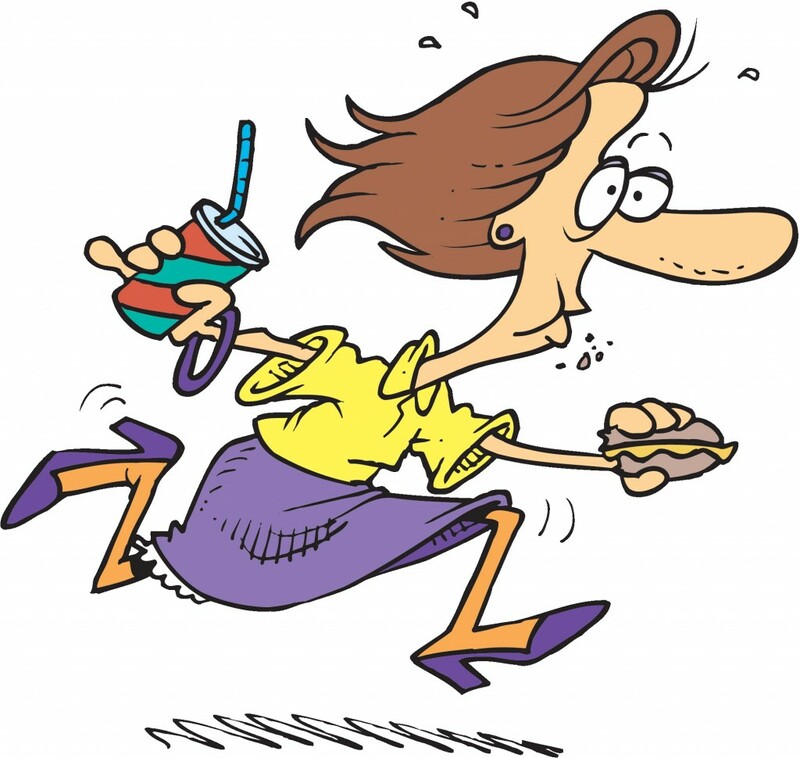 It’s akin to fearing that you may get selected for the Olympics because you did a few 10k runs! Women just don’t possess the hormones in their bodies to easily grow substantial level of muscle. Those that do manage to acquire high levels of muscle must do colossal training and eat an exceptionally strict diet whilst taking particular dodgy ‘supplements’. Rather weights or resistance training will give you that toned, lean and slim physique that most women desire. Men are easier sold on the weights training road and are generally easier to convince of its merits. Building muscle is also every beneficial for increasing your metabolic rate. Muscle burns more calories at rest than fat so if you have more muscle you, not only do you look better but you also burn more calories than someone with less muscle. So those are some reasons why should not fear some weights, here are some ways to do it effectively. The purpose of a warm up is to increase your body temperature and increase blood flow, put your limbs through a full range of motion and stimulate muscle fibres for action. This ensure you reduce your likelihood of injury. A warm up should replicate some of the exercises that will be done during the main exercise. Some dynamic stretches can be used in the warm up to improve mobility and range of motion. If you are new to using weights then you will need to start off easy for the first few weeks. Your muscles will not be used to this new stimulus and will need some time to adapt. If you are new to lifting weights and are not sure of your form, get a trainer who can help you or check out some videos on youtube. You are better off lifting a lighter weight with perfect form than risking an injury by lifting a big weight just to boost your ego. Can you do full body press ups? Can you hold a plank for 30 seconds? Can you perform a number of body weight squats whilst maintaining a straight back? Can you do a chin up? If the answer is no, then you need to become better at the basics. These moves should form the basis of your programme if you are new to resistance training. Some people are vain and do weights to look good. Unfortunately when they look in the mirror, they fail to realise that their poor back needs to be developed too. Therefore many men will have well developed chests and biceps and poorly developed backs. This will cause poor posture with a curved rounded forward tilt because of the excessive pull from their stronger chest muscles. It is very important to balance muscle groups. If you work your bicep, you must work your tricep. Agonist and antagonist. When thinking about the arms, it is easier to think about pushing and pulling. Pushing exercises would be press up, bench press, shoulder press and pulling exercises would be chin up and varieties of a row. With the legs we must try and balance hip dominant (glute and hamstring) exercises such as a dead lift with knee dominant (quads) exercise such as the squat. If you keep this in mind when working in the gym, you will be less likely to have muscle imbalances and get injured. As you progress, you need to keep a record of how many reps and sets you are completing. This enables you to see if you are actually making any progress or whether you are just doing the same as we did at the start. You should always be trying to beat old times and reps and to constantly improve. Get a notebook and pens and jot down every exercise you do and the volume of exercise. We have all done it…you come to the gym and have a look around. You have a drink of water, you survey the free machines. Eventually you decide to jump on the bike for a few minutes . You then get chatting to some lad you know for 10 minutes and maybe decide to do a few weights, a few reps of this and that. You might check your phone a few times and decide ‘ah feck it, that’ll do me!’ And head off home having done very little. The moral of the story here is that you must come with a plan. Aim to do certain exercises. Record your sets and reps and know exactly what you plan to do. Otherwise you are only shooting in the dark and it will be impossible to track progress. This doesn’t apply in the gym but it would be remiss of me not to mention food. If you are exercising hard your body will need the proper nutrients to refuel and regenerate. You will need sufficient protein to stimulate muscle and tissue growth, carbohydrate and fat to fuel the efforts. You need a vast array to micro nutrients and minerals from fruit and vegetables to preserve and improve health and vitality. Without adhering to a sensible, healthy,nutrition plan, any efforts in the gym not be maximised. Sleep, sleep and more sleep. Aim to be in bed by 11 and seven hours should be a minimum target. Our muscle and tissues regenerate as we sleep and growth is stimulated during this time. If we neglect sleep, our gym efforts again will suffer as a result. Over the years our bodies may become used to various positions such as sitting at a computer or driving in the car. Unfortunately these positions tend to create a hunched bent over posture which can be difficult to fix. This causes various muscles such as the hip flexors to tighten up and shorten because of lack of use. We tend to think of a lack of mobility with older people but with many people spending hours everyday in sedentary desk jobs, it is becoming more prevalent issue for people a lot younger. We should set aside 10-15 minutes every day to foam roll and stretch. This will not only help our ability to do the exercises better but will improve our how we move and perform in our everyday lives. This lassie here you can be sure wasn’t afraid of a few weights! The course will start on Monday 3rd November with an initial assessment and nutrition guidelines. The assessment will consist of a weigh in and a body fat assessment using skinfold callipers. The exercise classes will take place every Monday and Wednesday at 7pm and will run for 6 weeks. The first class will be on Monday the 3rd. They will cater for all fitness levels and be equalling challenging for the beginner to the more trained individual. Adherence to the nutrition side of things will be key to the success of the plan. This programme is not for people who are stuck in their ways, are not willing to change some aspects of their life and are not motivated to give their full effort. This does not mean that you have to give up all your unhealthy treat foods forever or start eating broccoli for breakfast but it does require an acknowledgement in the person that if they want to change their body for the better, they must make some realistic changes to what they eat and how they live their life. There will be continuous assessment and monitoring. As well as the initial body composition assessment, there will be a half way assessment to check progress and a final assessment to see the final results. Each client will get self monitoring sheet where they will be able to check if they completed the various daily tasks which I will set. These daily habits will be the cornerstone to future success. Success will be determined by how consistent we are over a long period of time. I am very motivated to helping people achieve their goals. I believe eating healthy and exercising can transform our lives. Who doesn’t want to feel better, have improved energy, better quality sleep, sharper concentration, reduced aging, less illness and fatigue, fitter, stronger and happier? 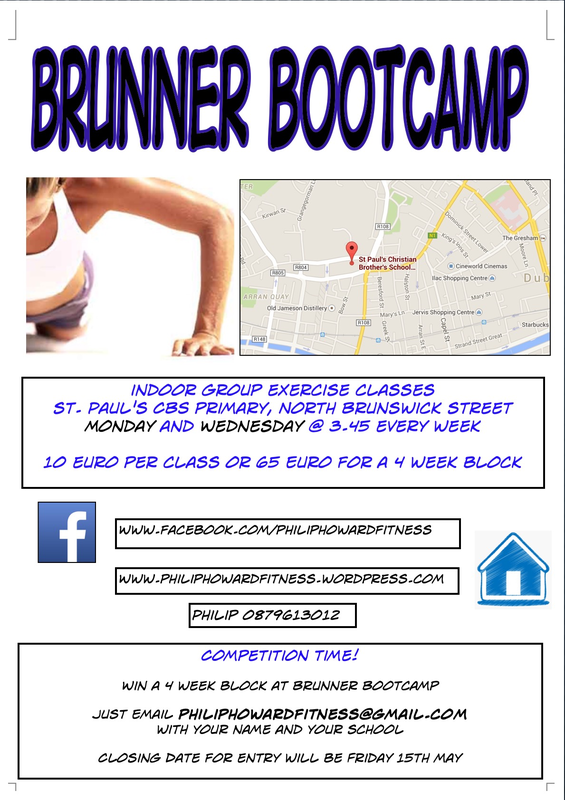 If you are interested in getting involved you can leave a message her, email me at philiphowardfitness@gmail.com or contact me on the mobile 0879613012. Will only be taking a limited number of people so get in touch! Do you know how to eat? You might think this is a silly topic to write a post on. Sure you just put the food into your mouth and you chew it for a bit, swallow it and it goes into your stomach. Done and dusted! It is not that simple unfortunately. There are a number of factors that go into how we eat and these can impact how we digest and absorb our food and can even derail our attempts at weight loss. Most of us eat too quickly. We are always in a rush. We scoff down our breakfast before going out the door every morning. We gobble up our dinner afraid that we will never see another meal in our life. This type of eating can present challenges for health, performance and body composition regardless of whether we eat healthy foods or not. Hunger and appetite signals do not kick in for 20 minutes by which time we may have eaten far too much. If we can slow down our eating, we will be more capable of noticing appetite cues and possibly noticing that we are full. As a challenge, record how long it takes for you to eat your dinner. If it takes 5 minutes, you definitely need to slow down! We should be aiming for 15- 20 minutes. This may not be possible at first but aim to add a minute on to the next meal and gradually increase your meal time from there. I’ll hold my hand up in this department, I have had to tailor my own eating habits and take my time as I’m quite susceptible to a bit of speed eating. It is not something that comes naturally to me, coming from a large family where being able to eat fast means you would get the extra few scraps that were available! Helpful tips: Sit down, eliminate distractions, relax. Take smaller bites, chew the food properly. Sip water rather than drinking large gulps. Eating when stressed is a very bad habit. We need to take time to eat and digest our food properly. Unfortunately many of us eat in stressful environments. We eat on our way to work, at our desks and when we are doing a myriad of other tasks. When we are stressed, our sympathetic (or fight or flight) nervous system is activated. This increases heart rate, releases energy and prepares the muscles for action. This also slows body processes such as digestion which are less important in emergencies. Our digestive system is not functioning optimally at this moment and any food consumed will not be digested properly. We may be eating a healthy diet but if we are eating it in a state of stress, our digestive system will not be activated and nutrients will be lost. When we activate the parasympathetic division, we conserve and restore. The heart rate is slowed and blood pressure is lowered. In this situation, the digestive tract is fully stimulated to process food and eliminate waste. Helpful tips: Make time to eat in a relaxed and calm manner. Do not eat in a rush. Prioritise eating time. Can 3 minutes of exercise a day make children fitter? Philip Howard Fitness · The Slim and Strong Weight Loss Solution.